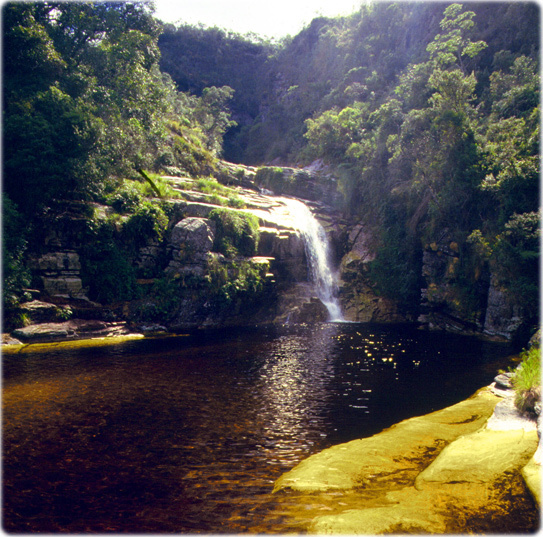 The state of Minas Gerais, in southeastern Brazil, is the country’s storehouse of mineral richess and the second most populous. 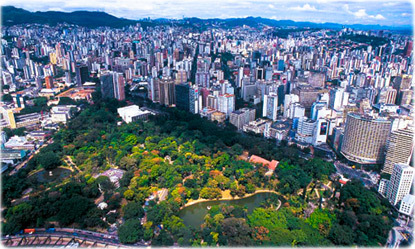 Belo Horizonte is the state capital and the largest city. 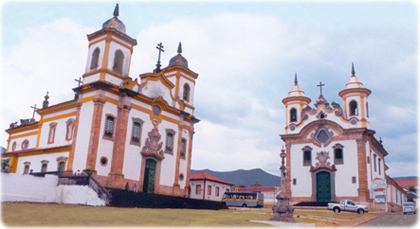 The state gathers important artistic and architectural heritage, preserved in sites of international fame such as Ouro Preto, Diamantina and São João Del Rei, which are part of the Estrada Real (Royal Road) complex. Aerial view of Belo Horizonte. 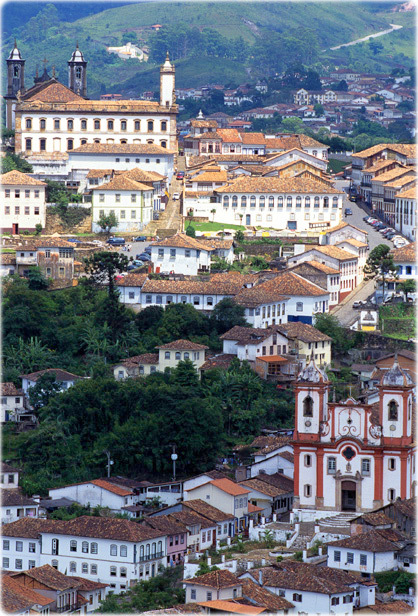 The historical city of Ouro Preto (Black Gold), the old capital of Minas Gerais. Churches at the historic center of Mariana. Copyright © Geographic Guide Cities of Brazil. Tourism and tourist attractions. 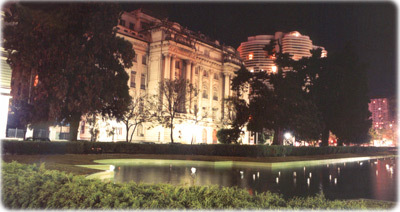 Praça da Liberdade in Belo Horizonte. 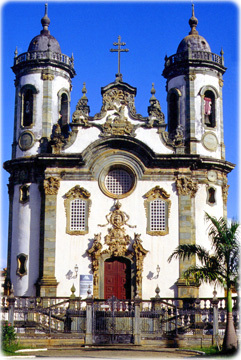 Church of São Francisco de Assis, in São João del Rel, Brazil.